Ichthyosis is a condition characterized by scaly skin and dandruff. It does not cause itching, scabbing, or hot spots. Ichthyosis is not the same thing as allergies. In Golden Retrievers, it is usually very mild. However, in other breeds it can be much more severe. The Golden Retriever Club of America says that it is a rare condition even though a high percentage of dogs are testing positive for it. A few breeders are making a big deal out of it. Most don’t test for it at all. We, along with a growing number of other breeders are taking a middle of the road approach. We do the test and use the results in making good breeding decisions. At the same time, we feel that this is a minor issue and that there are many other concerns that are more important. Ichthyosis is doggy dandruff. When a dog has symptoms, those symptoms are usually a light flaking of skin. There can, however, be a wide range of possibilities with regard to the severity of the condition. Many (I would venture to say most) dogs that receive DNA results that indicate that they are affected with Ichthyosis have no flakes or any other kind of skin problem. Some dogs with Ichthyosis have a light flaking of skin, most noticable when brushing. It does happen at times, however, that Ichthyosis is bad enough for there to be a constant flaking of skin. Even then, it is more of a nuisance to the owner than a bother to the dog. A severe case could cause a dog to leave flakes of skin wherever he sits or lies. These cases are not common. By far, the majority of Golden cases are very mild. Ichthyosis is a Cosmetic Issue. It Is Not the Same as Allergies. Ichthyosis is not anything like allergies that many Golden Retrievers suffer from. Ichthyosis very rarely bothers a dog. It doesn’t cause itching or scabbing like allergies. Ichthyosis in Golden Retrievers whether in its mildest form or its most severe is simply dandruff or flaky skin. The condition isn’t curable. However, it is usually well-controlled with brushing, mild shampoos and conditioners, and a diet high in fatty acids. I have heard of several affected dogs who had flakes to totally disappear after just a change in diet. They type dog food being fed greatly affects the expression of Ichthyosis. See Our dog food page for more information on the effect that dog foods have on a dog’s life. What is the Significance of the New DNA Test? Ichthyosis is a recessive trait. This means that both parents have to carry the Ichthyosis form of this particular gene for expression of it. If either parent is clear, there is no chance of any puppies being affected. There are three possible results of the DNA test, affected, carrier, and clear. If both parents are carriers, 25% of the puppies will be affected. In this case, 50% will be carriers, and 25% will be clear. This does not necessarily mean that 25% will be clinically affected. This means that a DNA test will show them to be carriers of 2 copies of the gene. They could have clinical symptoms. In cases where one parent is a carrier and one is affected, 50% of the puppies will be DNA affected. Again, this doesn’t mean clinically affected. If both parents are DNA affected, all puppies will be DNA affected. A dog that is a carrier will have no chance of having the condition, either by DNA test or clinically. A carrier is simply a dog with only one copy of the defective allele for the gene. Two copies are needed for a dog to be DNA affected. The statistics on the percentage of Goldens with Ichthyosis according to the DNA test would be quite disturbing if the statistics for the number of Goldens with actual symptoms matched those DNA statistics. There is, however, a huge difference between the two. The DNA statistics from Antigene, a testing company says that 30% of Goldens are affected by Ichthyosis. However, the Golden Retriever Club of America says that Ichthyosis is rare and that less than 1% of all skin conditions in the breed are caused by Ichthyosis. Wow! What a difference in the statistics! 1% of dogs with skin disorders or 30% of all dogs. There are links at the bottom of this article to the GRCA and to Antigene where you can read these statistics for yourself. The difference between the 1% and the 30% represents those dogs who have no symptoms or with symptoms so mild that noone knows they are there. 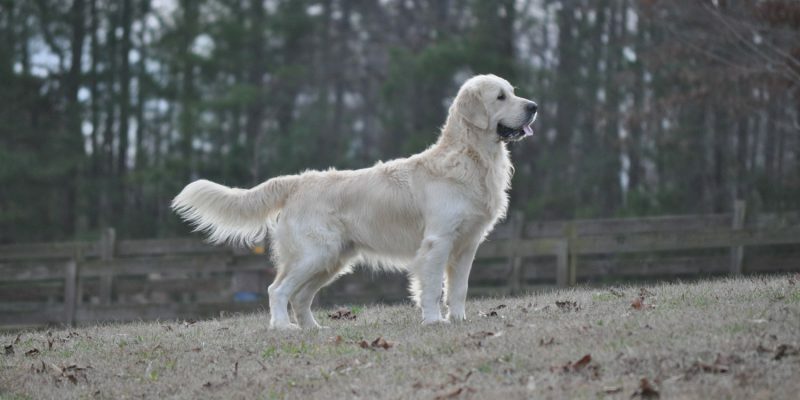 Further information from Antegene says that 40% of Golden Retrievers are carriers and only 30% are clear. 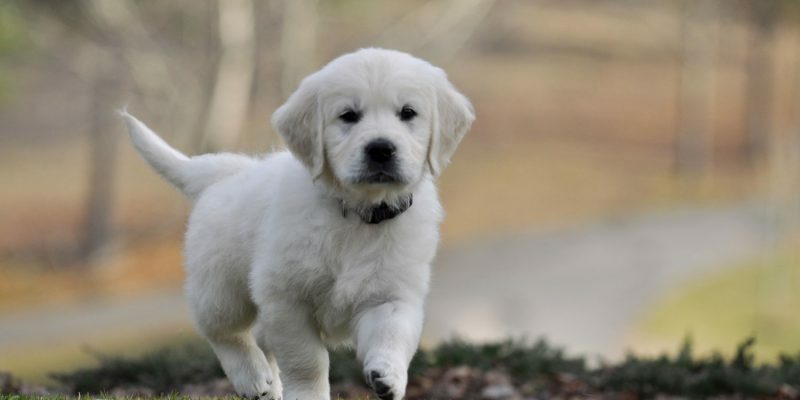 When the number of dogs that are either carriers or affected are broken down by the area of the world, 61% of Golden Retrievers in America are carriers, 52% in Australia are carriers, and 83% of Golden Retrievers in Europe are carriers. 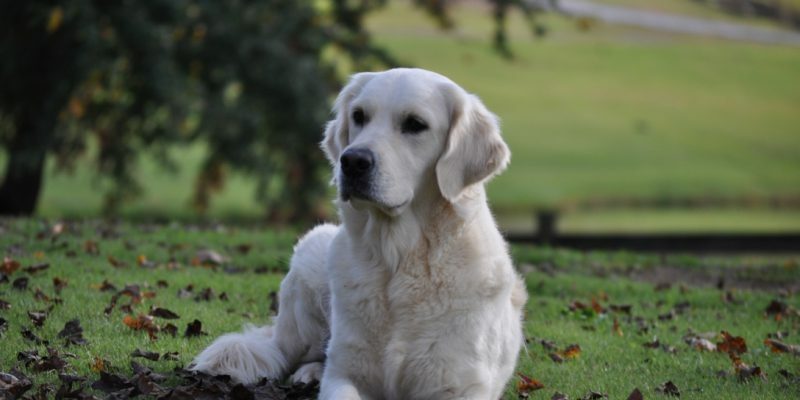 For English Golden Retriever breeders trying to have breedings clear of Ichthyosis, finding quality Goldens in the 17% that are clear of Ichthyosis is a challenge. To do this would undoubtedly reduce the gene pool tremendously and all for the sake of eliminating a condition that the Golden Retriever Club of America says is rare and mild, for a condition whose symptoms don’t bother the dog, for a condition that is easily controlled by a healthy diet, regular brushing, and using mild shampoos (all things that we should be doing for our dogs anyway), for a condition that is responsible for less than 1% of all skin conditions in Golden Retrievers, and for a condition that many veterinarians have never heard of. I have seen in talking to others and in reading that dogs with clinical cases of Ichthyosis do tend to reproduce those symptoms. Also, dogs with a positive DNA test but with no symptoms tend to produce symptom-free puppies. Keeping this fact in view is key in wisely using the DNA test. The more prudent approach to breeding away from Ichthyosis is to breed unclear dogs in lines who have clinical cases of Ichthyosis only to clear dogs, to pursue a goal of eliminating the condition all together over 6 -8 generations, to use the DNA test in making good breeding decisions, to continue doing the test and using the results wisely, to be open and honest to the public about what you have, and to use good common sense about it realizing that there are other issues in our breed that need greater attention. If too much importance is focused on this mild skin condition, our breed would have 1% less skin problems but would be full of dogs with other health problems, poor temperaments, narrow unsightly heads, and poor conformations. For several reasons, we at Summer Brook have decided to test for Ichthyosis, but to not make it a priority. An affected diagnosis does not always (or even usually) mean a dog has a skin problem. Ichthyosis in Golden Retrievers is rarely a condition that affects the quality of life of the dog. Also, the number of English Goldens who have been tested that are clear makes it unwise to put so much importance on this cosmetic issue. There are too many other more important considerations in deciding on a breeding. We make that information available to potential buyers. We take Ichthyosis test results in consideration, but to make other issues a priority. Some of our litters will have a parent clear of Ichthyosis, but not necessarily all. Any litter that we breed without a parent clear of Ichthyosis will have backgrounds clear of clinical signs of Ichthyosis. If we find evidence of clinical signs in the lines, that dog will be paired only with a clear. So far, we’ve not had a dog with visible signs of Ichthyosis nor has anyone ever reported to us that any puppy we’ve produced had skin problems of any kind. If you would like to do further reading on Ichthyosis in Golden Retrievers, click on any of the underlined links below.